\n I've doing some looking into my seo'ness the past couple of days. 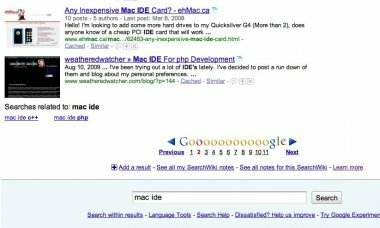 I looked at the Top Search Queries and found out that the phrase "mac ide" returned my site in the top 12. I gave it a try, and just look at the results! !